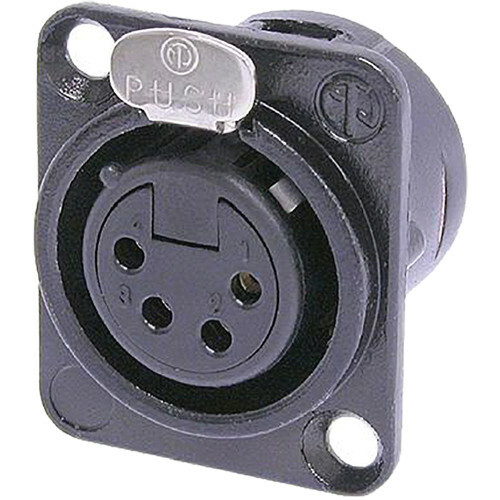 The Neutrik NC4FD-L-B-1 Female Receptacle Connector (4-Pole) is designed for the universal D-size metal-body XLR panel-mount series. NC4FD-L-B-1 Female Receptacle Connector (4-Pole) is rated 5.0 out of 5 by 2. Rated 5 out of 5 by Fireplug from Neutrik are the best. Professional accesories for the motion picture camera industry. I use Neutrik 4pin XLR connectors for all my power related projects. Rated 5 out of 5 by Morris from Well done. Great price, quick shipping and good communication. Well done!